Selenium is a key nutrient for healthy thyroid function, the gland which contains the highest amount of selenium of all the body tissues. It is anti-inflammatory, antioxidant, and a nutrient cofactor for making thyroid hormones. In particular, selenium is crucial for the conversion of the inactive T4 to the active T3 (the active hormone responsible for regulating your metabolism). There are a group of enzymes called selenoenzymes that require selenium to do their job. These enzymes essentially regulate the function of the gland. The key selenoenzymes I want to talk about are glutathione peroxidase (GPX) and thioredoxin reductase (TR). Have I lost you yet? There really isn’t any easy way to word the complexity of the thyroid. In clinic I like to keep things as simple as I can. After all in my experience it really is best to keep the big picture in mind rather than focus to much on the small details. Put simply GPX protects the thyroid gland from oxidative stress. During the production of thyroid hormones hydrogen peroxide (an oxidative free radical) is created. GPX protects the gland from this toxin. Selenium is a nutrient cofactor for iodothyronine deiodinases types 1 and 2 (D1 and D2) which are responsible for the conversion from inactive thyroid hormones to active hormones. As you know levothyroxine medication is a synthetic version of T4 which is inactive thyroid hormone. T4 still needs to be converted into the active thyroid hormone T3 to be used in the body. This is why you might be taking levothyroxine and still be experience hypothyroid symptoms. It makes sense right? We commonly see a slightly elevated T4 and normal TSH alongside a higher T4:T3 ratio in selenium deficiency. In short if you have an underactive thyroid, or you are taking levothyroxine, or you are deficient in selenium, or you have hashimoto’s thyroiditis, your selenium status is crucial to regulating your hormones. Does selenium reduce antibodies in Hashimoto’s thyroiditis? More importantly though as we all know autoimmune thyroid disease is a problem with the immune system rather than caused by the thyroid gland itself! Regulating the immune system and reducing those thyroid antibodies (thyroglobulin and thyroid peroxidase) are therefore the priority treatment aim for your holistic treatment plan with the naturopath. 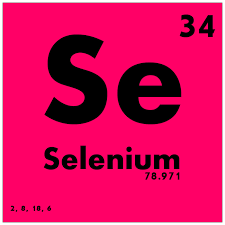 This is where selenium comes in again folks. 3 meta-analysis (studies that review all the clinical trials) concluded that selenium reduces thyroid antibodies. Research also shows that 200ug/day of seleno-methionine reduces thyroid peroxidase antibodies. This is very exciting news am I right? Remember that the therapeutic dose if you are deficient is up to 200 ug/day and the recommended daily intake is 55 – 75 ug/day. The selenium content in food can vary depending on the soil quality and where the food is sourced. Caution is advised in type 2 diabetes supplementing this nutrient and you should always seek advice from a qualified health care practitioner before taking any complementary medicines. Selenium is toxic at high doses eg.330 ug/day and can affect growth hormones, thyroid hormones and insulin like growth factor. Symptoms of toxicity include loss of appetite, hair and nail loss, diarrhea, bleeding, depression, disturbed respiration and liver and kidney damage. So don’t do this on your own! You need a holistic practitioner that knows the in’s and out’s to help guide and empower you. Liontiris MI1, Mazokopakis EE. Hell J Nucl Med. 2017 Jan-Apr;20(1):51-56. doi: 10.1967/s002449910507. Epub 2017 Mar 20. A concise review of Hashimoto thyroiditis (HT) and the importance of iodine, selenium, vitamin D and gluten on the autoimmunity and dietary management of HT patients.Points that need more investigation.